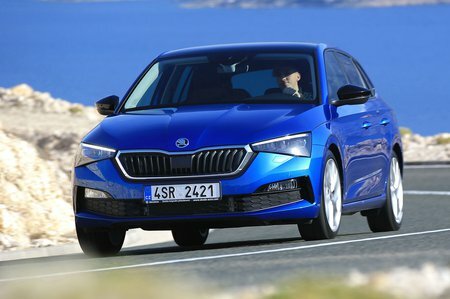 Skoda Scala Review 2019 | What Car? Unconventional. It’s not a word you would naturally associate with Skoda’s long-running Octavia, but once you take a closer look, it’s hard to conclude that it’s anything but. With its distinctive slant-back design, the Octavia occupies a unique place in the family car class by offering unrivalled space and practicality at a price that undercuts all the usual suspects. 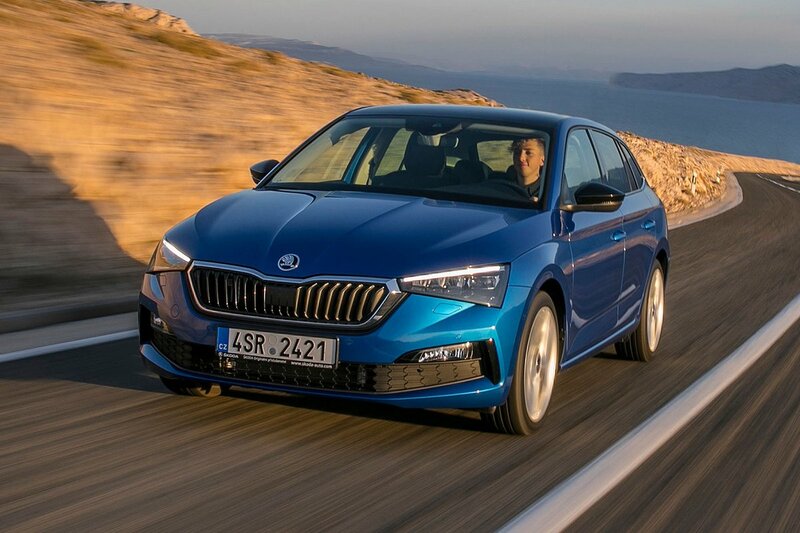 However, to appeal to those buyers who favour more traditionally-shaped hatchbacks such as the Ford Focus and Kia Ceed, Skoda has designed the Scala. It’s based on the smallest version of the Volkswagen Group’s MQB platform and shares some of its mechanicals with the Seat Ibiza and Volkswagen Polo but is actually longer than the Volkswagen Golf. And it’s Golf that the Scala seeks to be compared to. A lofty ambition, for sure, but then again, the Scala – whose name, fact fans, comes from the Latin for ‘ladder’ – marks a bit of a design revolution for Skoda, featuring a prominent, aggressive grille and the ‘SKODA’ name spelt out proudly across its boot lid. There are also LED lights as standard, and top models exhibit the sweeping sequential indicators that have become a hallmark of more prestigious brands. UK buyers get the option of four engines: two 1.0-litre three-cylinder petrols with 94bhp and 113bhp, a 148bhp, 1.5-litre four-cylinder petrol and a 114bhp, 1.6-litre diesel. All are turbocharged and send power through a five or six-speed manual gearbox, with a seven-speed dual-clutch automatic optional with all but the least powerful engine. Read on over the next few pages and we’ll reveal what’s good and not so good about the Scala, and whether you should choose one over its rivals. And remember, whichever car you settle on, don’t forget you can buy it with the minimum of fuss and for the best price, through our New Car Buying service.